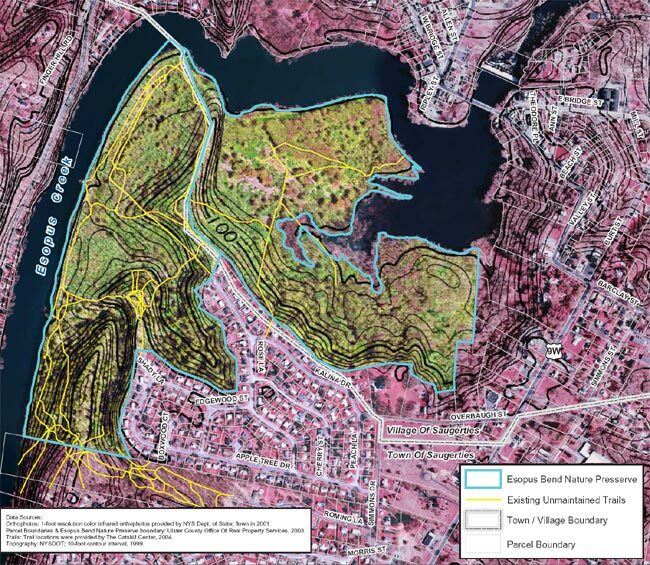 This map gives a good look at the boundaries of the preserve and where it lies in the town and village of Saugerties. Sorry this file is so big, but we wanted to give you a detailed view of the property. Please give it a minute to download.